This is my 20th year riding the PMC. When I first started, I did it because I lost my dad to lung cancer, and lost several good friends over the years as well. I trained at a gym, and was asked to join a PMC team by Martha Gold who was in my spinning class. She had lost her sister, Jane, to a blood cancer after her body rejected a stem cell transplant. 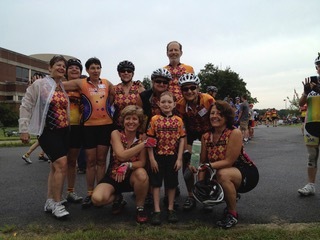 Martha then started a PMC team called the Stem Cell Cyclists, and wanted to fund a doctor who specialized in Hematology and Stem Cell Transplantation. Martha found a young doctor at Dana-Farber, Dr. Corey Cutler, to fund. This relationship has lasted for the last 12 years and has impacted so many people. Because we support his research, other funding sources could find him. Their grants were in the millions of dollars. Our money was discretionary which means it can be used as the doctor sees fit. We have supported a research assistant, attendance at international conferences, and many research projects. Several years ago, I started an event at Dana-Farber called, “It Takes a Community to Cure Cancer.” We included patients, doctors, donors and riders. 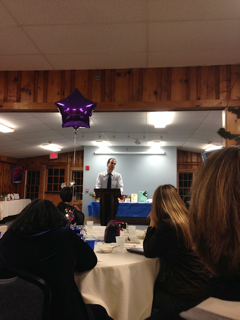 It included speakers from each category, great wine and food-paring, and a silent auction. Dr. Cutler agreed to speak. Now, I run the Dream Factory Community, an educational community for women solo-entrepreneurs and every year we have a conference. The dinner part includes 2 speakers and a silent auction that raises money for the PMC. Of course, Dr. Cutler attends. He gives an update to the audience on the research that they have supported for the previous year. Many of the Dream Factory Community members donate items, and the conference attendees bid and benefit. It’s a great night, and a wonderful contribution to my fundraising efforts and Dr. Cutler’s research. 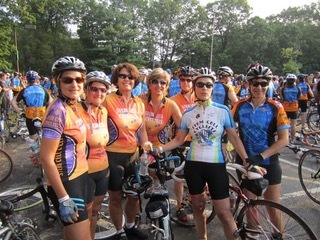 The Stem Cell Cyclists and Dr. Cutler have become amazing partners. He joined the team and now rides. His published papers always include an acknowledgement of the Stem Cell Cyclists. He keeps making it real—he can tell us in layman’s terms what he is working on, and invites us to his house for brunch with his family. We know who we support and what he is working on. He is a friend, a colleague and a world-class doctor. As a team, we have given Dr. Cutler over a million dollars that has attracted many more millions and that has allowed for cutting edge research that is saving lives. If you would like to donate and support Stem Cell Research, please do. There is also a fundraiser on August 9, 11:30am-1am at Jake n Joes in Waltham. Here is a ticket to print out to attend. 20% of what you eat, drink, or take out goes to cancer research, you just need to bring the ticket.